Nowadays, moats are largely the preserve of expense-dodging Tories and, unless you live in a house boat, finding your property completely surrounded by water is likely to be a cause for alarm. Back in the day, though, many private homes and national assets were surrounded by moats. Very few can still be found in the London area, but we've managed to track down a handful. Easily the most famous moat in the capital. Some form of defensive ditch has been in place since the Tower's earliest days, but the wide feature we see today dates from Edward I's reign (1272-1307). It remained watery until the 1840s, when its stagnant condition prompted the authorities to fill it in. These days the sunken green finds use as an events space, home to concerts and the annual ice rink. Plans were floated to inundate the moat for the Olympics but Boris seems to have opted for cluttering up the Thames instead. The most picturesque of London's moats. Eltham Palace dates back to Medieval times, when the aqueous defences surrounded a manor house. The property fell into the hands of royalty, and was a boyhood home of Henry VIII. Today, it's a mish-mash of styles incorporating Medieval, Tudor and (most strikingly) art deco. A stroll around the moat is one of the many pleasures of visiting. Look out for the giant carp. A second bonus moat can be found nearby at Well Hall Pleasaunce. Another Medieval survival, this was once the longest moat in England. Sadly, it was filled in by the Bishop of London in the 1920s when the upkeep became a burden. But oh happy days, for the moat is currently being excavated and restored as part of a project to improve the Palace grounds and Bishops Park. More on the history here. 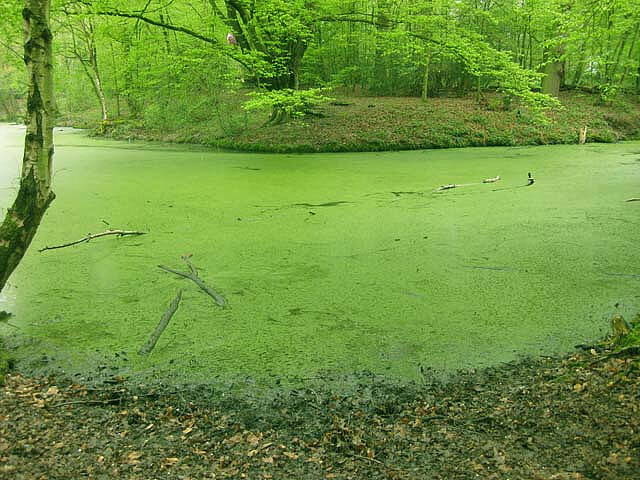 A stinky bog-moat in the woodlands of Trent Park, this gloopy water feature once encircled a small Medieval structure, probably the Forester's Lodge. The site has several folkloric associations, including links to Camelot and its own resident ghost. On our visit, some kind of New Age shrine was evident at the western end. The oldest timber-framed building in (what was) Middlesex, Headstone Manor is a delightful survivor in the heart of Metroland. 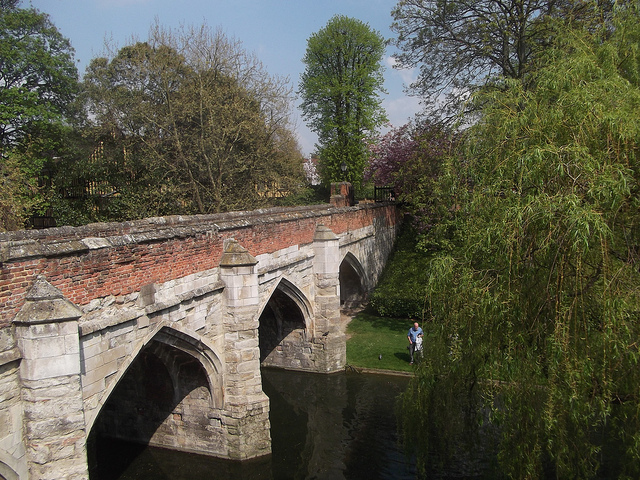 It also retains its original moat, reportedly the only Medieval example in Middlesex (again) to retain its water. It's now part of Harrow Museum and can be visited at weekends. The small lake in the middle of this West London park was previously fed by Stamford Brook and served as the moat for Paddenswick House. This stately home was probably built in the 13th Century and served as a home for one of Edward III's mistresses (Alice Perrers, who owned over 50 manors around London and sounds like a remarkably adept person). The rebuilt property, by now known as Ravenscourt House, was badly damaged in the Second World War and demolished. A mote of the moat remains, however, as an attractive duck pond. As you'd expect, Henry VIII's most famous palace had its own moat. There's not really all that much to say about it, other than the surviving sections now make for an impressive contrast to the red-brick entrance gateway. As a renowned castle-builder, Good King Eddie seems to have enjoyed his moats. Here's another one, partially excavated near the Thames at Rotherhithe. Today, it couldn't keep a lame penguin out. The age of gunpowder brought a gradual end to fortified castles and their defensive moats. But new 21st Century threats may reverse all that. 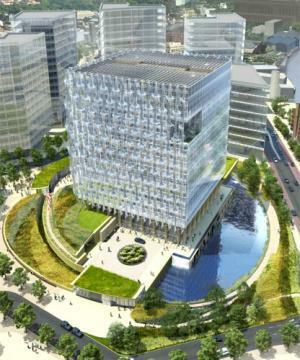 The planned US embassy in Battersea will sit within a 30-metre-wide moat, to prevent assault by terrorist truck bombs. A sad reflection of the times, but a much neater solution than concrete bollards. Still, it comes bottom of our list on account of not actually existing yet. With thanks to the ever-wonderful London Remembers site for suggesting the idea for this article. Got any more to add? Suggestions welcome below.